Well, here’s a surprise. Advertisers spend billions of pounds on sponsoring the Olympic Games, only to find they establish almost zero rapport with consumers. Worse, many punters think the real sponsors are their iniquitous ambush-marketing rivals – such as Nike. 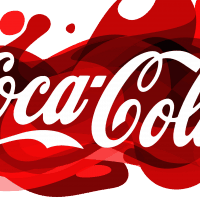 Coca-Cola was cited by 47% of respondents as an Olympic sponsor, more than any other brand, but 28% incorrectly believed that Pepsi is a sponsor. One of the most-cited brands was McDonald’s, correctly named by 40% of respondents, but 19% of those surveyed believed Burger King is an Olympic sponsor. (It’s unclear whether respondents understood that marketers pay for category exclusivity and so Coke and Pepsi, for instance, can’t both be sponsors). Respondents who identified brands as sponsors, whether correctly or incorrectly, were then asked if that Olympic sponsorship makes them feel more positive about that brand. Some of the highest response rates were for brands that aren’t sponsors — 54% of respondents said Olympic sponsorship made them feel more positively about Nike, 52% said the same about Burger King and 48% about Pepsi. In one of the oddest findings, perhaps influenced by what a pervasive presence Google is in the everyday life of internet users, 16% of respondents incorrectly identified Google as an Olympic sponsor. And 60% of those asked the second question about their feelings toward Olympic sponsors said that the sponsorship made them feel more positively about Google.